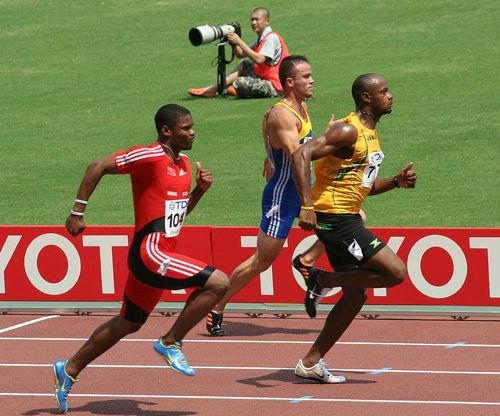 Four Jamaican sprinters are the fastest in the world: What are they doing so right? When the four fastest men in the world are all from the same island in the Caribbean, it’s time for the health coaches to ask why? What are they doing so well that the other Olympic contenders are failing to do? Simple answer. If you’ve ever been to Jamaica, it’s clear these beautiful and happy people have a well established tradition of very healthy eating. Their entire culture has blended the best cuisine from a number of different influences. The island nation of Jamaica is fairly large with multiple weather patterns crisscrossing it making possible for a diverse number of crops to be grown. The availability of vegetables and fruits, grains and legumes is quite plentiful and allows for a plethora of tasty recipes. Jamaican food is the real secret to the strength and robust constitution which so many of the residents possess. Eating such healthy and well-balanced diets from a young and tender age, however, is the key to why these sprinters dominate the sport. Compared to American kids who eat so many processed meals and junk food from early on, Jamaicans seem to have a sense of what to stay away from. The mothers really do take good care of their young during the formative stages of growth and development, which sets them up for good health later in life. The Jamaicans dominate sprinting like the Kenyans dominate long distance. The Health Coach has visited many islands throughout the Caribbean since the early 1980s. Upon arriving in Jamaica he could see that this island nation was different. Regardless of their socioeconomic levels, the people were happy and content. You could experience a sense of groundedness that was lacking in the states. No matter where you went, the people exuded an abiding joy that springs from a heart-centered existence. When the body is truly satisfied from the food it is fed on a regular basis, there is contentment. Nothing produces this effect like REAL soul food. Because of the use of many spices and herbs, the predominant Jamaican cuisine that is eaten in the home brings balance to their bodies. Maintaining these dietary disciplines throughout life allows them to live long, healthy, illness-free lives. This is where one would want to look to ascertain the secret to their extraordinary athletic prowess on the running track. When wholesome and healthy soul food is such an integral part of the culture, the society is bound to experience benefits that it would not otherwise. Why is it that we can always identify the Jamaicans who have come to Florida to live or visit? Because they have evolved in such a way that bespeaks excellent multi-generational eating habits that are as sound as they are true to there own style of Ayurvedic diet*. Having maintained these wise cooking and eating practices for so long has produced a body type that is not too unlike those who hail from the island of Sicily. Both of these islands do share a similar history because they occupy strategic and very desirable locations in the middle of their seas. Sicily is known for possessing one of the most diverse gene pools on the planet because it sits in the middle of the shipping lanes in the Mediterranean for millennia. It was also the most conquered piece of real estate in the world for the same strategic reason, in addition to providing such a beautiful island environment. 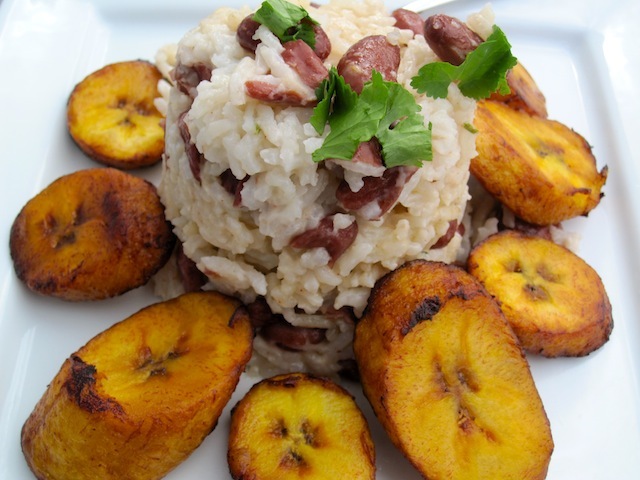 Sicilian food has also been instrumental in producing a very strong and robust constitution similar to the Jamaicans. One might perceive that Sicilians are a Caucasian version of the typical Jamaican. Jamaica likewise sits right in the middle of the Caribbean Sea and was occupied by numerous conquerors for many of the same reasons as Sicily. The gene pool is quite varied and comes from all the African, European, South American and indigenous peoples who first inhabited that lush and beautiful island. When such a confluence of favorable circumstances converge in one country, we see many great possibilities … like four of the fastest men in the world. 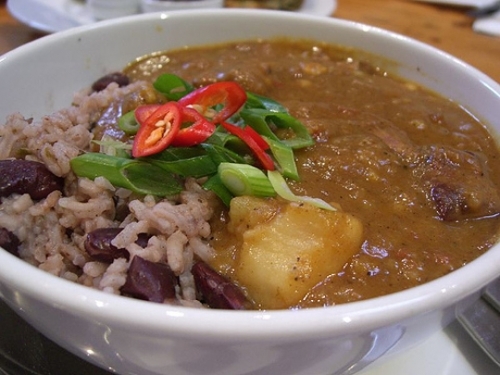 Just what are some of the staples of the jamaican diet? It’s not that Jamaican food is so tantalizing as Thai or tasty as Indian; it’s that there are many influences in the form of spices and herbs, especially of the East Indian variety as seen in their different curries. The food we eat, especially during childhood, has a tremendous effect on our health and attitude. Peering deeply into a simple culture like Jamaica’s will reveal some of the truths which are espoused by the ancient tradition of Ayurveda. You are what you eat, and the earlier in life you eat it the more profound the influence on the rest of your life. For many of us in Western society who were not so fortunate to be raised with good eating habits, our bodies nag us to stay on the straight and narrow for the duration of our adult life. The next in this series will explore the general state of health of the Baby Boomer generation of the USA, and especially why so many of them are dying before their parents. For many of us this predicament can still be addressed, for those who possess the proper wisdom and put it into practice. *According to Ayurveda the body has six fundamental tastes that want to be satisfied throughout the course of a day’s diet. The more that these tastes are fulfilled, the more balance and vitality will be experienced. Food cravings and over-eating is less likely to occur because the body has been sufficiently gratified. Because the does not find itself lacking vital nutrients and minerals, the constant urge to eat and drink simply goes away. You then eat when you’re really hungry, and drink when you’re truly thirsty. Just the way it was meant to be. The population of Jamaica is only 2,889,187 compared to the population of the USA of 311,591,917. As a percentage, Jamaica does not even have 10% of the US population. Jamaica certainly does not possess the track and field infrastructure, which is even much less on a per capita basis, when compared with that of the USA. And yet, Jamaica is able to produce four or five of the fastest men in the world. Certainly, the extremely diverse and strong gene pool has much more to do with this accomplishment than we have alluded to. As do many other factors which we have neglected in this session; but nevertheless, do contribute in major ways to this awesome national legacy. 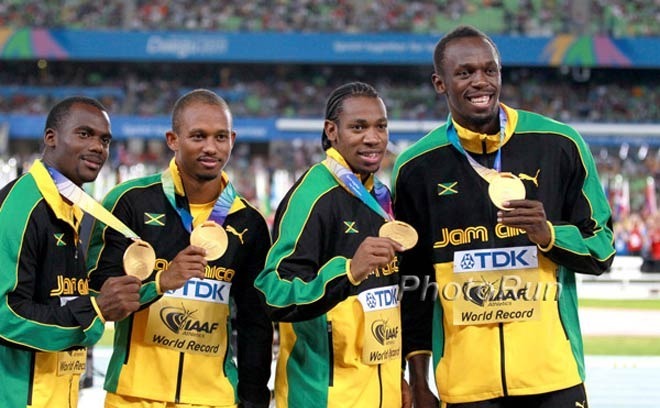 Four of the five fastest men in the world today are from Jamaica. This list is not in order as their ranking shifts from race to race. Colin Powell is probably the most famous American of Jamaican descent. Compare his physiognomy and robust health to those of Sicilian ancestry and you can easily imagine that he might look like a dark-skinned Sicilian. SOAK PAPER IN APPLE CIDER VINEGAR, THEN WRAP YOUR BODY FOR A SUMMER TIP YOU NEED TO KNOW! DOCTORS Hide This from You Find Out How to Treat Your THYROID problems COMPLETELY NATURALLY!